Just like the Atlantic Ocean, Atlantic Spins is blue. This is most likely the most straightforward design that you will ever see in any online casino. Atlantic Spins keeps it very simple. The website uses a blend of blue and white which is typical of the ocean. Likewise, just like the ocean, Atlantic Spins offers a vast selection of games. There are more than enough to accommodate everyone. Even more, there are a dozen other reasons why you should sail with Atlantic Spins. Let’s start with the fact that the platform is owned by Tau marketing. As well, Atlantic Spins is operated by Aspire Global Limited. These guys put together will make anything work. Likewise, it is certain that Atlantic Spins will open up new horizons in your world of online gaming. To wrap things up, they have a triple license from the UKGC, the AGCC, and the MGA. 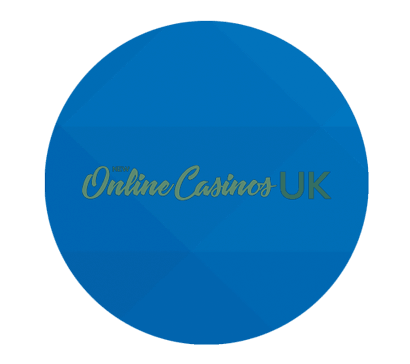 Another excellent brand that you might like if this review is of your liking is 14 Red Casino. Ensure that you use the code ‘ATLANTIC’ as it is spelt. Players who do not enter the correct code will not receive the welcome bonus. Also, players who receive the welcome bonus must wager it a minimum of 35 times before requesting for payout. Indeed, that’s a lot for such an inadequate offer from Atlantic Spins. As for the extra spins, you have one day to use it all. Winnings from extra spins must be wagered a minimum of 35 times as well before any payout request can be granted. Not unless you want to forfeit the bonus. When it comes to making payments, it is straightforward. That’s because they put together more than 15 different payment options. Of course, some of the payment options will not be available for every player to use. Hence, the first step is to ensure that you pick one that is valid in your country. Meanwhile, they have several options that include Euteller, Trustly, Visa, Maestro, Entropay, MasterCard, Zimpler, Neteller, Giropay, Paysafecard, Skrill and Bank Transfer. Atlantic Spins has no doubt selected some of the best payment methods. However, they still have a pending time of 24 hours for all withdrawals. Even more, the processing time varies from 3 to 7 days depending on the payment method and many other factors. The team is only available between 6 am and 11 pm GMT. Even though this is not a 24-hour support service, they are always there every day. Atlantic Spins is not a new brand. However, it’s a new year, and they have taken a new approach to ensure that players get an exciting place to enjoy quality games. Hence, they feature an excellent range of games; plenty of payment methods and courteous customer service.